This game is so easy to prep and set up. You only need toilet paper and at least two kids (or adults). Start unraveling the roll of toilet paper. Place the free end of the toilet paper in the mummy’s hand. They should hold onto this end of toilet paper. Begin walking around your mummy, unraveling the toilet paper and wrapping it around your mummy until they are covered from head to toe. If the toilet paper breaks as you are wrapping, place the end in the mummy’s hand or tuck it in somewhere you already have toilet paper wrapped. 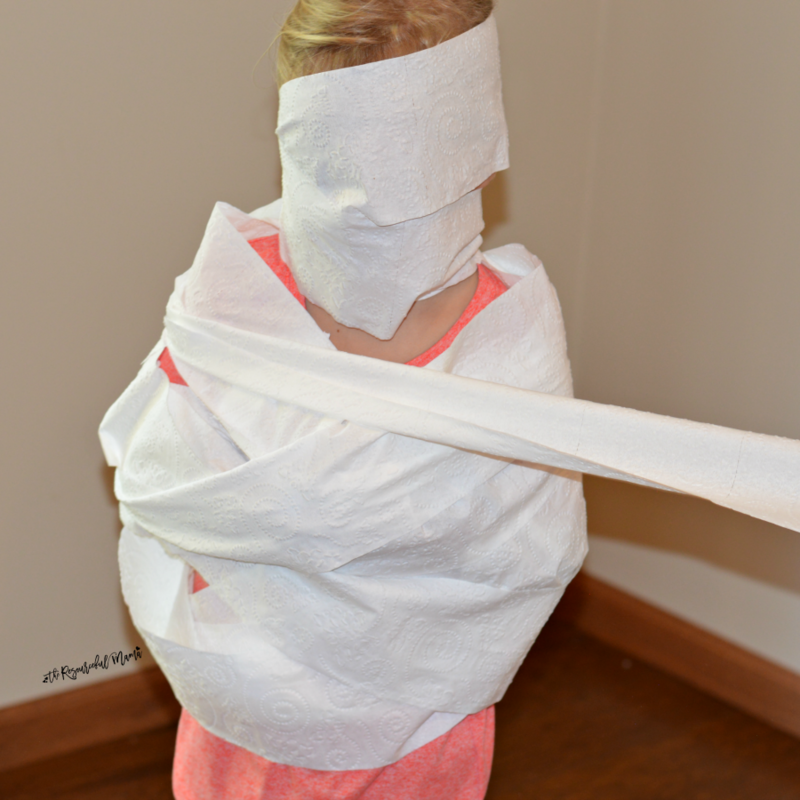 Once the mummy is completely wrapped, you can say something like “Mummy come out!” and the mummy breaks out of the toilet roll and the kids giggle and shriek with excitement. I’ve done this with my preschool class and they loved it! Great idea.